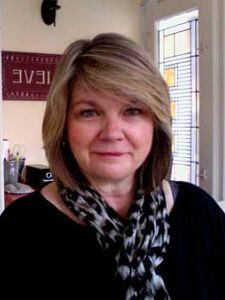 Ms. Vickie Walters, a licensed clinical social worker, has served as the Executive Director of REACH Health Services, an opioid treatment program at the Institutes for Behavior Resources (IBR), since 2009. During her tenure with REACH, she has added intensive outpatient services and an office based opioid treatment program, had all staff trained and maintained in Motivational Interviewing, Trauma Informed Care and LGBTQ Cultural Competency. Ms. Walters is responsible for daily operations, ensuring quality clinical services, and managing fiscal responsibility within the program. In addition, Ms. Walters is responsible for continued development within REACH, including active legislative advocacy and continued engagement in implementing program refinements, expansion of clinical services, and integration with research initiatives. Ms. Walters has served on the Maryland Medicaid Advisory Board since 2015 and as President of the Baltimore City Substance Abuse Directorate since 2015 and serves as a member of the Behavioral Health System Baltimore’s Community Advocacy Committee. She was a member of the Baltimore City Mayors Heroin Task Force in 2015 and currently serves on the Baltimore City Health Departments Neighborhood Relations Workgroup and co-chairs a committee within the workgroup. In 2016, Ms. Walters served as the chairperson for the American Association for the Treatment of Opioid Dependence International Conference. In addition, she has been an officer of the Maryland Association for the Treatment of Opioid Dependence since 2007, as secretary and/ treasurer. Ms. Walters was the chairperson of the 2016 American Association for the Treatment of Opioid Dependence International Conference in Baltimore, MD. Ms. Walters has more than 25 years of experience in the addiction treatment field, including 7 years as the Clinical Director and 8 years as Program Director of the renowned Center for Addiction and Pregnancy (CAP) at the Johns Hopkins University School of Medicine, Bayview Medical Center prior to joining IBR. At CAP, Ms. Walters participated in many research activities including the MOTHER study pilot and the final MOTHER study. Ms. Walters received her Master’s degree in Social Work from the University of Maryland, Baltimore.